Nothing can quite compare to the joy of owning your own personal watercraft. Boats are wonderful toys. Having one ready at hand to use whenever you want to is a great pleasure. However, purchasing a boat can be a major expense. The cost of owning a boat does not need to impede you from becoming a boat owner. Purchasing a used Bayliner boat can be a wise, affordable way to own a quality watercraft. Bayliner has a long history of building boats. Since their founding in 1957, Bayliner has continued to grow. Today, the company is the largest manufacturer of recreational boats. With dealers worldwide and plants in the United States, Mexico and Europe, Bayliner is a well-known boat. Because Bayliners are some of the most common boats, finding a quality service center to perform routine maintenance should be simple. Many mechanics are familiar with Bayliner. If you cannot find someone, Bayliner will gladly assist you. 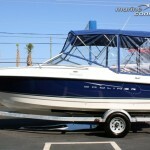 As such a large company, Bayliner is able to offer a wide variety of boats. Their line ranges in design, beginning with 17 ft. bowriders and 18 ft. boats designed for skiing or fishing. A current cuddy model measures 21 ft. long, and their deck boats are similar in size. If searching for something slightly larger, the cruisers range from 25 ft. up to 33 ft. Bayliner has a wide range of designs for boats between 17 ft. and 33 ft., because there are many reasons to use a boat. Whether looking to ski, fish or enjoy a weekend on the water, one of their models is sure to suite your needs. When you purchase a Bayliner, you are purchasing a well-built boat. The crafts are designed with a specific purpose in mind, so they are suited to meet your needs exactly. Using modern technology, the designs are transformed into models which are within 1/25,000th of an inch. Their exclusive finish, called Pre-Cured Finish Guard, ensures that your Bayliner will keep looking fantastic for years to come. From careful design to superior construction, Bayliner focuses on quality. Because of Bayliner’s attention to quality, used Bayliners often still have years of reliable use. Purchasing a used Bayliner boat can be an affordable way to own one of the nicest watercraft available. 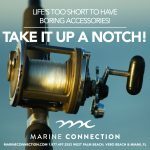 There are a variety of reasons why people sell their boats. Perhaps they are looking for a different type of boat, hoping to go on excursions instead of fishing. Moving from the coast to a desert unfortunately can make people sell their boat. There are many reasons boats are sold, and many of the used boats available are still in peak condition. Bayliner’s boats are built to last. 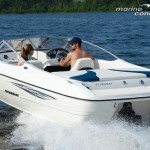 Consider looking at the used Bayliner models for sale. The price of a used boat is drastically lower than that of a brand new one. 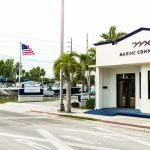 By purchasing your next Bayliner with reputable used boat dealership, Marine Connection, you can be assured that the boat is a quality investment which will be enjoyed for many seasons to come. 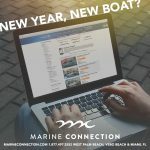 Contact Marine Connection at www.marineconnection.com to take advantage of the lifestyle brought forth by your Bayliner today!